1. Introduce yourself! Who are you and which country do you come from/ call home? Hey guys, I’m Jacky. Originally I’m from Germany but ever since I graduated from high school in 2009 I have been all over the place. Even though I always love coming back to my family and friends, I would call the world my home now. So wherever I travel or temporarily live, is my home for the moment. May it be for a day, a week or a year. 2. What has inspired you to start travelling solo? I remember, that even when I was still a child, I already had the urge to discover the world one day. Somehow I often asked myself how it would be if I just left home, went to the airport and took a flight to anywhere all by myself. So I guess this feeling of wanderlust has been with me for most of my life. But the real inspiration to travel solo only came later when I realised that you’re absolutely free when travelling on your own. You can be whoever you want to be and do whatever you want to do. You make the decisions when it comes to the choice of accommodation, transportation, leisure activities, food and the style of travelling. 3. What was your family’s reaction to your travelling idea? To be honest, my parents haven’t always been too pleased with my travelling ideas. When I set off for my first major backpacking trip to South-East-Asia in 2012 they were actually quite concerned. The reasons for their concern were that I went all by myself, didn’t plan anything, hadn’t really saved up anything and they couldn’t help me if anything would happen. Well, during these two months I ran out of money, had a scooter accident, realised that I forgot about my health insurance and did all kinds of stuff that drove my parents mad. BUT more importantly, during these two months I also had the time of my life and learned so much about myself and others. Ever since that trip my family started realising that travelling is a part of my life, certainly the most important one, and nowadays supports my travel ideas as long as I’m able to finance them all by myself. 4. 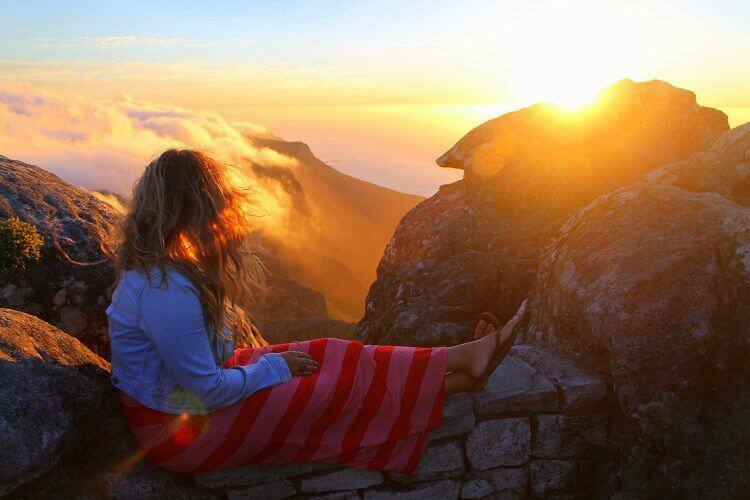 What would you tell women who want to travel solo but worry about their safety? I would tell them not to worry too much. I used to be a person who was worried about anything and everything and it didn’t get me anywhere. In terms of safety, I must say that you should always trust your own instincts and inform yourself about what you should and shouldn’t do in a certain part of the world and then go and see for yourself. The places you’re travelling to are usually never as dangerous as everyone said they would be. 5. Which steps do you take to make sure you are safe on your travels? Since about half a year I’m hitchhiking on a regular basis and many people already asked me if it isn’t dangerous to hitchhike solo as a woman. Therefore, I recently wrote a post about the four most common questions you get asked as a hitchhiker and explained what measures I take to stay safe during my travels. But apart from that I always try to carry around as little valuables as possible and ask other people for advice concerning safety measures in a certain part of the world. 6. Have you been in a situation where you felt unsafe? What did you do? When I was in Miami I had the impression that a dubious guy was already following me for quite some time. So I tried to act all normal but changed the side of the road, made unexpected turns and moved towards a place where there were more people. And the guy eventually left. So there have been situations where I didn’t feel completely safe but so far I have been lucky and nothing serious ever happened. Jacky on the beautiful island Ko Phi Phi in Thailand. There are always ups and downs when you’re on the road. 7. Have you ever felt lonely travelling solo? I believe, for almost everyone travelling solo there are times when you feel lonely. Sometimes, when you see or experience something extraordinary, may it be good or bad, you just want to share your thoughts and impressions with someone who understands you. I remember, that when I was in Bangkok, halfway through my SE-Asia journey, I was very sick for three days and had to stay in a cheap room all by myself. I was cut off from the outside world and felt indeed very lonely and asked myself why I was even doing this trip. But then, a few days later, I felt better, went to Cambodia and met some amazing fellow travellers. The moral of this story is that there are always ups and downs when you’re on the road. But exactly these kind of experiences are the ones that will shape your character and consequently make you feel stronger. Also the good news is that you’re usually never really alone when travelling solo – if you’re looking for company you will definitely meet many wonderful people along the way. 8. What should every solo female traveller pack? When packing for a trip, you should always consider that you will have to carry every single item on your shoulders each time you’re going from one place to another. And from experience I can say that the weight quickly adds up. Therefore, I advise to only pack the essentials and leave luxury articles such as blow-driers and hair straighteners at home, you probably won’t need them anyway. Instead, better put a travel journal in your bag as well as a good book that you can exchange at almost any hostel. Travelling is a school of life. 9. In how far do you think travelling has changed you and your view of the world? I feel like I have become a totally different person since I started travelling. I’m more open-minded, outgoing, self-confident and optimistic than I used to be. Travelling is a school of life – you learn about other countries, cultures, opinions and mostly about yourself. It’s also amazing how travelling connects you with people from all over the world. Despite different cultural and personal backgrounds, everyone seems to have something in common and shares the same passion of exploring the world and its people. It’s like an own world where everyone is welcome. 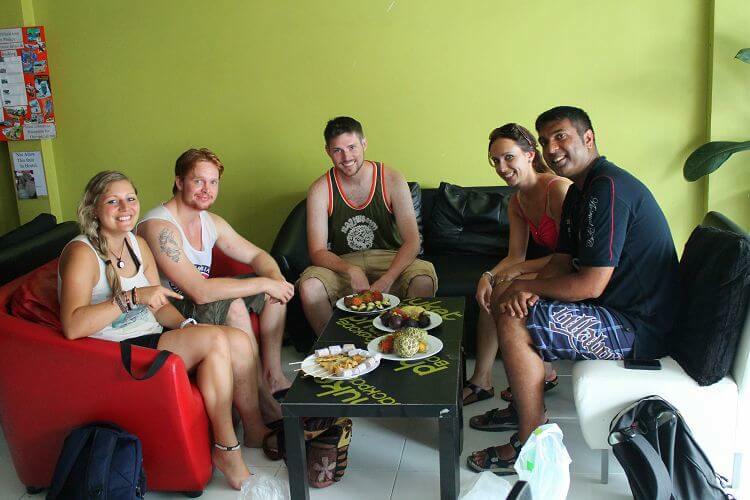 Jacky trying local food in a hostel in Phuket, Thailand. 10. What has inspired you to start blogging? I always liked writing and sharing my experience with others but the real inspiration came when my good friend Tim, aka Universal Traveller, started his own travel blog. I really liked the idea of inviting your family, friends and anyone who is interested to accompany your journey by means of photos, videos or stories. It’s a useful tool to inspire, give advice and share your thoughts. As for me, I’m browsing through travel blogs on a daily basis to get inspiration and to follow the adventures of some bloggers all around the world. Inspire and be inspired. 11. What makes your site so unique and why should people read it? I believe that my site is authentic. It’s also personal and reflects my own personality which probably makes it easier for people to identify themselves with me and my stories. However, my blog is still in a very early stage and needs improvement in many areas. But just as I am constantly developing, my blog also is. Therefore, I think that people should read it and be part of this exciting development/ change. I want to show you that beauty can be found anywhere in this world and that we should appreciate the small things. Life is all about experience and figuring out what makes us happy. Jacky on safari in Etosha National Park, Namibia. 12. What are your future travel plans? At the moment I have so many future travel plans in mind, I feel like I want to see and experience everything that’s out there. But for now, my next adventure will be a pilgrimage to Santiago de Compostela in May. For 3-4 weeks I will walk for about 25km each day, having in mind that “the journey is its own reward”. This will be rounded off by 1-2 weeks in Portugal and one summer in the city of Bern in Switzerland. Last but not least, this fall I’m either heading towards Australia or Central/ South America. I haven’t decided yet where exactly I’m going to, I just know that I want to explore this beautiful world. 13. 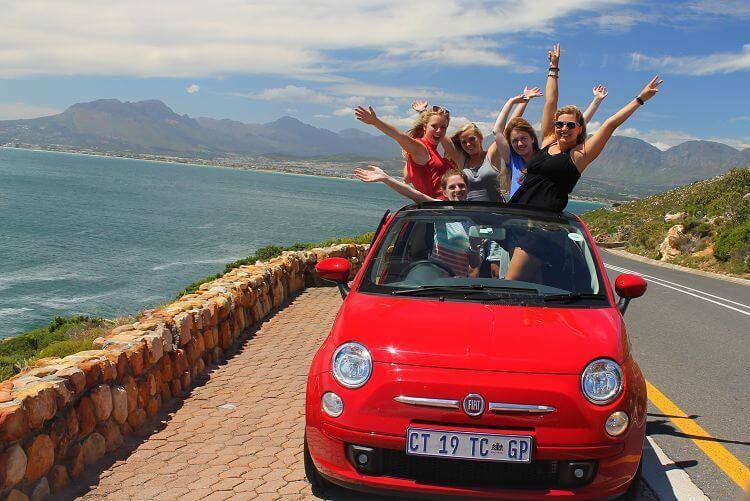 Lastly, what are your top three tips for females interested in travelling solo for the first time? 1. Do your own thing, no matter what others might think. 2. Be open-minded and try not to judge too quickly. 2. Talk to fellow travellers and locals and build new friendships. • Three things you cannot travel without? 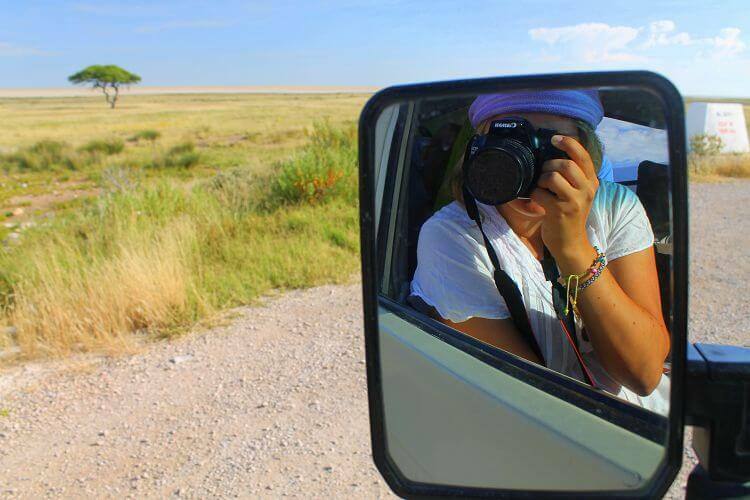 Jacky is a 24-year-old solo female traveller who left Germany to discover the world. 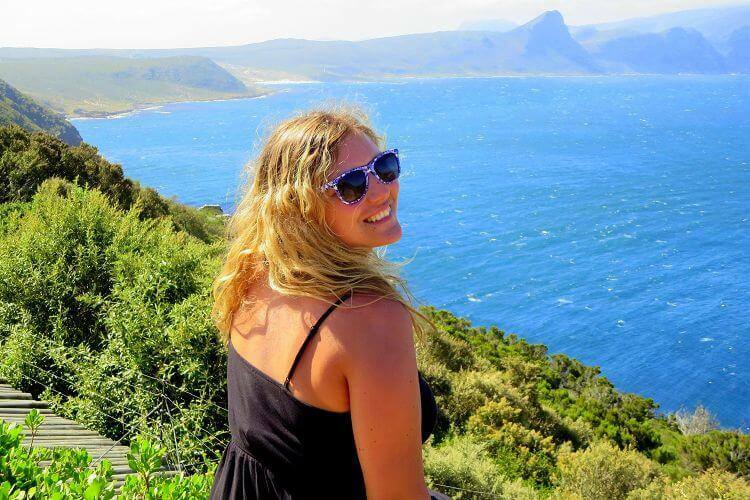 She worked as an au pair in the United States, studied Tourism Management in the Netherlands and Hong Kong and is now saving money in Switzerland for her next big adventures. Check out Jacky’s blog Colourful Movement and follow her on Facebook and Instagram. A fascinating interview with a fascinating lady. Lots of good advice from a person who knows what they are talking about. Great interview. I remember my first trip abroad was to Europe (from the US), on my own and my parents were the same – totally freaked out! And the next trip was China. Then Latin Amercia. They soon just had to deal. Especially when I then told them I was moving to India. haha. I know my son is going to be the same. But it's worth it. Sharing the wonders of the world with everyone is great. What a fun interview. Can't say I'd ever hitch-hike solo but then I'm not as adventurous as you. I do love taking solo trips and exploring new things on my own. Most of my trips I end up taking so many pictures and talking with people I get separated from my travel buddies. We work it out! I also love reading about parents and their concerns about their daughter travelling alone. They want a strong independent daughter but the mere mention of traveling alone freaks them out. Fantastic interview, thankyou so much for your insights on solo travel – I'm so glad you had the courage to head on out into the world even if your close circle were a bit dubious and worried at first. I totally agree with you that safety when traveleing, even if you're alone, is usually 100% about street smarts and common sense. The best thing you can listen to is your gut!! Thanks for this great interview – keep traveling & inspiring!! Great interview. Very inspiring Jacky! You're brave and carefree and I love that. Women shouldn't feel held back just because they don't have or don't want a travel partner. 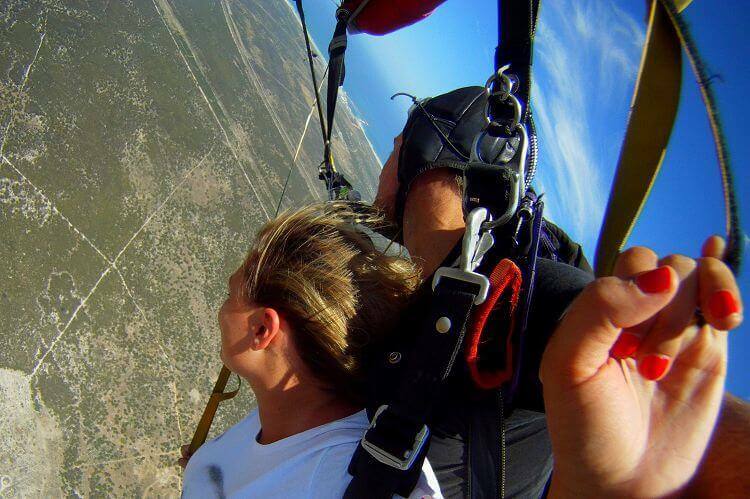 You can see the world all by yourself and it's not inherently unsafe. You just have to be careful. Great interview. I always learning more about bloggers and what inspires them to travel. Hitchhiking sounds very brave!